For maximum benefit, your desired speed/heart rate should match up with each song’s beats per minute, or BPM. According to the Journal of Sports Medicine and Physical Fitness. “Synchronized music tends to drive exercise intensity.” Using your Fit Radio app, you have the ability to choose your workout music based on your desired BPM, or even your type of workout, and Fit Radio will deliver fresh new mixes that match your desired heart rate. 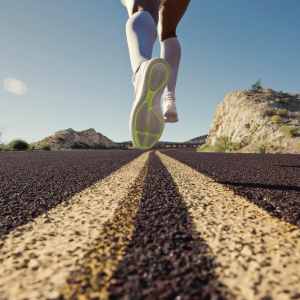 Plus, through the new Running tab, Fit Radio will automatically detect your pace when you start running. 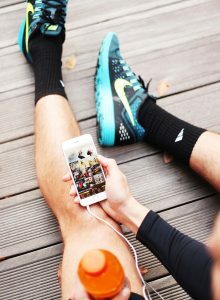 From there, Fit Radio will take care of the rest and deliver the perfect running playlist that matches each footfall of your stride. Remember those times you spent hours on the dance floor or jamming out all night at your favorite concert? You didn’t even notice because you got lost in the music! 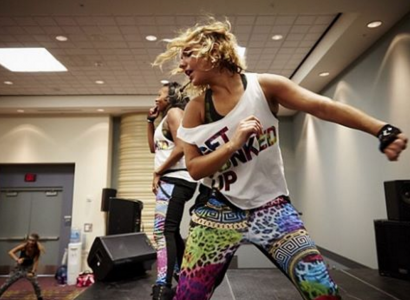 Music is proven to increase endurance because it serves as a (positive) distraction. 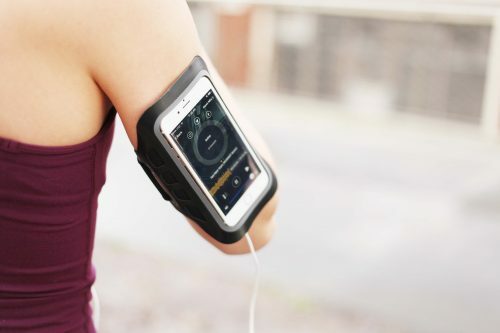 When you turn on your Fit Radio app, our professionally engineered mixes are designed to not only keep you moving and motivated through your entire workout, but also having fun and getting lost in the beats. Your best workout always happens when it doesn’t seem like a workout. Everyone has that go-to song that always pumps them up no matter what. Believe it or not, there’s science as to why that happens. When you can associate songs with certain memories or tap into the emotions of the lyrics, it boosts the motivational power of a song. Each mix that is added to Fit Radio has been specially created by our professional Fit Radio DJs keeping the listeners in mind — thinking about what will help keep them motivated, excited, and wanting more. Researchers found that when music possesses “high-groove” qualities, the brain gets excited and induces movement in the listener. With your Fit Radio app, turn on any mix and it has the ability to make you move — no matter how much you’re dreading your workout. Don't Be Fancy Just Get Trancy! The moment you all have been waiting for has arrived. With so many requests from our users to add a Trance genre to the FIT Radio app, we had to oblige. If you aren’t familiar and are not really sure what Trance music is, the definition above says it all. It’s music to get you moving and keep you moving. With a tempo between 125 and 150 beats per minute how could you not? 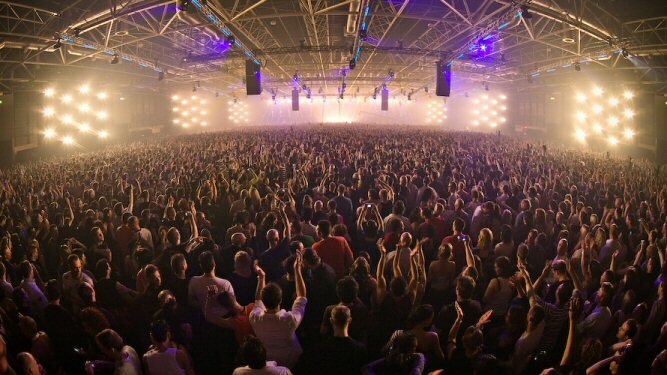 Pair that kind of energy with a mesmerizing show of lights and you’ve got yourself a trance show. Trance isn’t just about the beats and the music, the atmosphere adds so much to the genre that when when people hear the word Trance, they not only envision the famous artists that come to mind like Tiesto and Armin Van Buuren, but the crowd, the lights and the movement that surrounds you when you go to a Trance like show. So, naturally we wanted to integrate that kind of life and fun party mentality into the FIT Radio app! So bring Trance to your next house party or gym session and you won’t be disappointed.